Okay, I didn’t mean to make this a shopping blog, but I have to say, history lovers will appreciate the Santa Maria Novella Pharmacy too! The apothecary is the oldest still-operating pharmacy in the world! It was established in 1221, when the Dominican monks from the adjacent Basilica of Santa Maria Novella began growing herbs to make balms, salves and medicines for their infirmary. The superior quality of their products became widely known, and in the 17th century, the pharmacy opened its doors to the public. Today, the shop makes award-winning, botanically inspired beauty products. The luxury perfumes, soaps, beauty products and other goods are all handmade the Old World way. For example, the soaps are still made one by one, wrapped and then aged for 30 days on ventilated clapboards. The building also houses a museum, where tourists can view original 16th– and 17th-century pharmaceutical pottery, and early books offering an alchemist’s view on how to combat the bubonic plague. 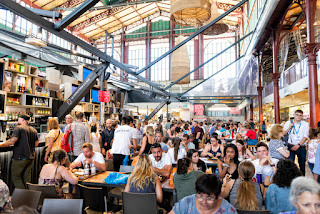 The first floor of Il Mercato Centrale can be compared to a farmer’s market; local traders have booths where they sell their foods and goods such as fruits, veggies, oils, baked goods, meat and sea foods. Take a look around, snap some photos and then head up to the second floor. The second floor is a bit like a food court. There are several mini “restaurants” offering a variety of local fare using only ingredients purchased from within the market. I’m sure the food is delicious on whatever Mediterranean cruise you’re on, but nothing beats eating local! 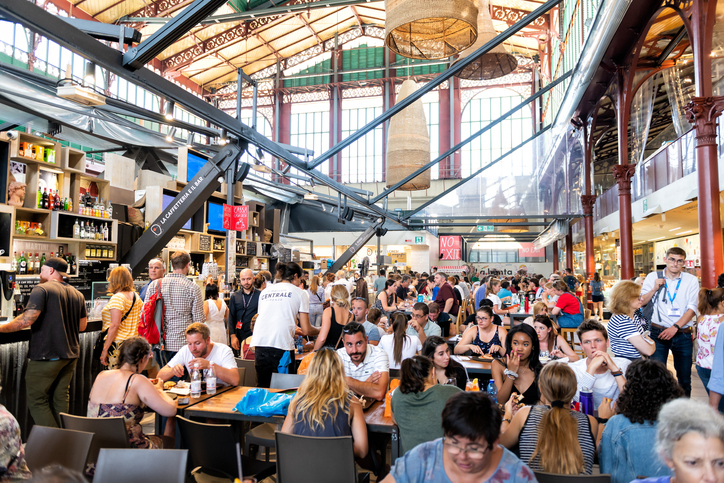 And although the market gets quite busy, you’ll find ample seating and free WIFI. It’s a great place to stop for lunch or to refuel after a couple of hours of bargaining in the adjacent leather market!